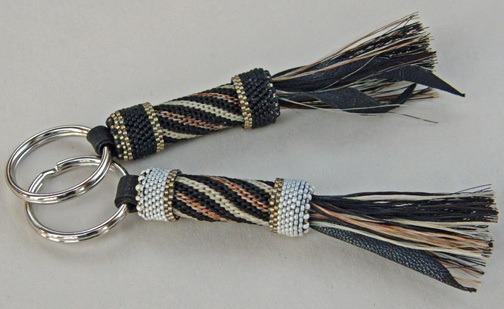 Key fobs of hitched horse hair. Each one is lovingly created one knot at a time. The ends are capped with peyote stitched beadwork. buy one from stock or send me your horses hair and I will create a memento just for you! 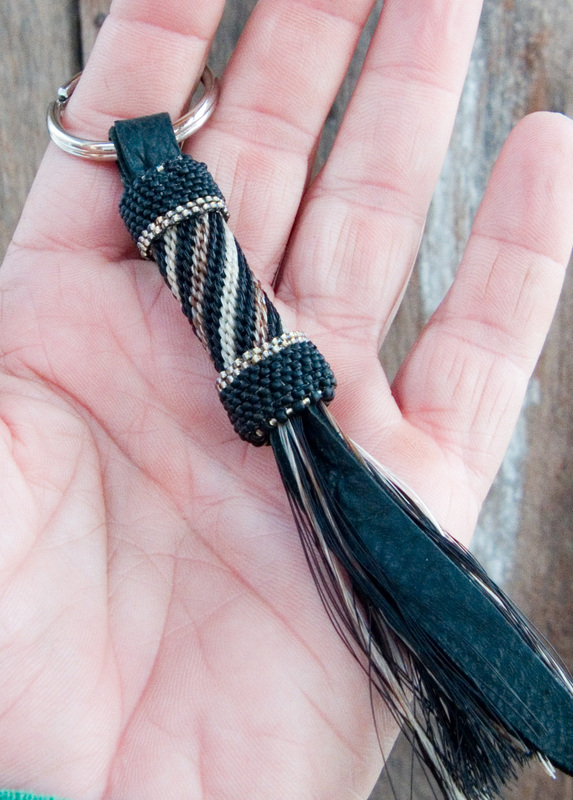 A Hitched Horsehair Key fob makes a wonderful gift for your horse loving friends! Available in hand dyed colors too! This entry was posted in Hand made, Horsehair Jewelry, Shop. Bookmark the permalink. Both comments and trackbacks are currently closed.